Reliable industrial packaging when the safety of your product isn’t an option. PSAP stands for “Packaging Solutions for Any Product” and we stand by our claim. No matter the size, shape, weight or value of your product, we can design and manufacture a packaging solution that protects your product during transport. Reduce damage claims by working with an industrial packaging partner who brings decades of experience providing custom package design to organizations in high-stakes industries. Custom shipping solutions for the aerospace & aviation industries. High-value products such as those for aerospace and aviation require a custom packaging partner who understands what’s at stake. We design and manufacture shipping solutions for aerospace products ranging from sizes as small as accessories to as large as entire airplane wings. Every one of our custom crating solutions receives the same level of scrutiny and expert attention to detail. This ensures the safe transportation of your product, no matter the dimensions. 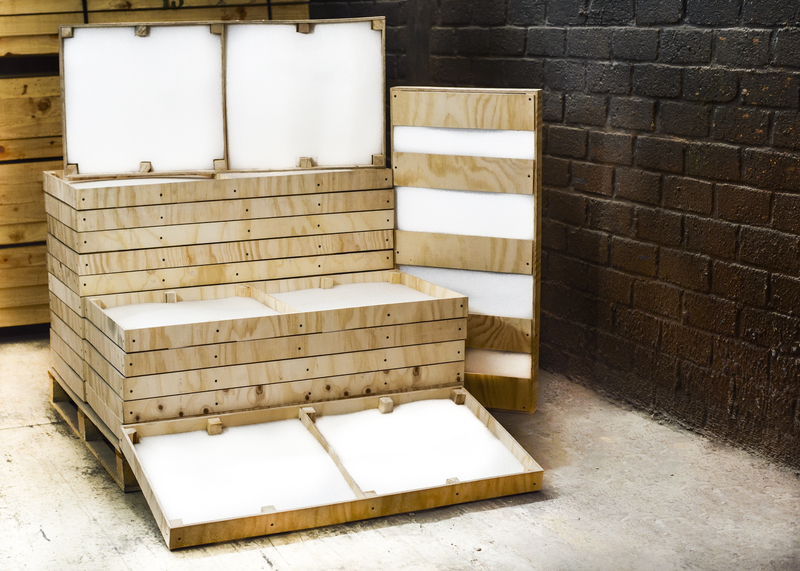 Sturdy crates and pallets to protect your automotive products during transport. Make sure your parts, products and vehicles are protected from unnecessary stress by working with a packaging partner who has lengthy experience providing shipping solutions for the automotive industry. We manufacture containers, pallets, reusable crates, shipping boxes and other packaging for automotive equipment that meet your specifications, timing and budget requirements. Made-to-order solutions that support fragile medical equipment. Don’t compromise the safety of valuable medical equipment by using an inadequate shipping solution. We can manufacture to your specifications, provide input to improve on your existing designs or generate an entirely custom solution on your behalf. For your protection, we subject our crates, boxes and pallets to rigorous impact and drop/shake testing because we understand the value of your products to your end customers. Reliable packaging to safeguard sensitive materials. Electronics packaging requires close attention to detail to ensure that delicate pieces are not damaged during transport. We design and construct containers for electronic equipment that feature custom padded interiors that conform to your products. Before delivering to you, we perform drop/shake testing and vibration testing to minimize stress on your electronics products during shipping. Our rugged crates & containers stand up to heavy loads. Packaging for construction must be able to support excess weight requirements–and withstand multiple uses–without risk of failure. Our technical team assesses weights and performs load tests to every one of our crates, boxes and pallets to ensure that they perform flawlessly. In addition to wood, we manufacture shipping solutions from steel and other sturdy materials to make sure your construction equipment arrives undamaged. Expert industrial packaging that conforms to your products. Whether you are transporting products over long distances or require trade show packaging closer to home, we generate a solution that matches your specifications and meets your timeline. Our packaging experts can assess your designs and deliver suggestions to maximize your success. Because of our experience handling thousands of different projects annually, we can provide a level of service flexibility that most other industrial packaging companies cannot match. Additionally, as accomplished custom packaging manufacturers, we can also produce one-off or or limited design runs, on schedule and within budget.